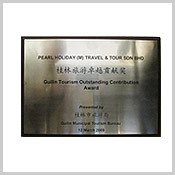 Guilin Tourism OutstandingContribution Award from Guilin Municipal Tourism Bureau, year 2013, Oct.
2012 Silver Award Outstanding Sales & Achievement from MAS Airline, year 2013 Top Supporting Travel Agent 2012/2013, from Johor Premium Outlet. 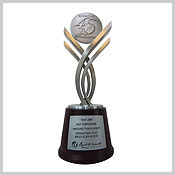 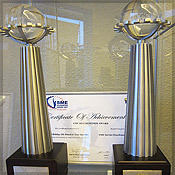 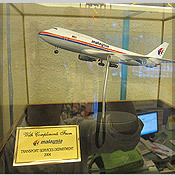 Malaysia Tourism Award, year 2010/2011. 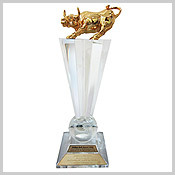 Golden Bull Award, year 2011. 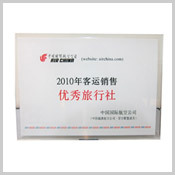 Golden Bull Award, year 2008. 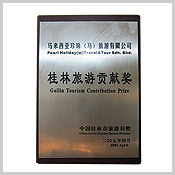 Outstanding Contribution to Guilin Tourism Industry from Guilin Government, year 2011. 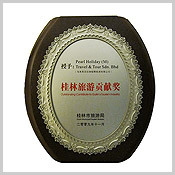 Best Supporting Inbound Travel Agent from RWG, year 2009. 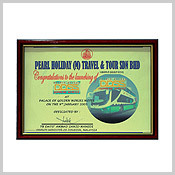 Best Supporting Travel Agent from RWS, year 2009. 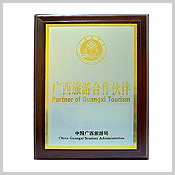 Outstanding Contribution to Guilin Tourism Industry from Guilin Municipal Tourism Bureau, year 2009, Nov.
year 2007 Partner of GuangXi Tourism from China Guangxi Tourism Administrator year 2007.
from MAS Airline, year 2004.